Peel is about to truly become the “smart universal remote” app that it has always claimed to be. The company, fresh off a $50 million investment from Chinese internet giant Alibaba, has announced that it plans to add connected-home commands to its TV remote app, which it claims handles over 7 billion infrared (IR) remote commands each month from upwards of 100 million smartphone and tablet users. 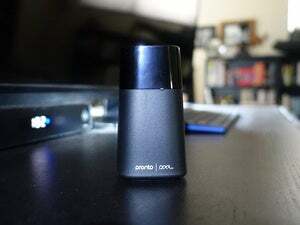 The app—named Best Mobile Photo, Art, Video, or TV App during the 2015 Global Mobile Awards at Mobile World Congress in Barcelona today—can already control TVs, set-top boxes, game consoles, and other entertainment devices by either tapping the host device’s onboard infrared or—in the case of an iPhone or iPad—using Wi-Fi. Next month, the app will updated with a new feature that enables it to relay commands to a large assortment of connected home devices—thermostats, lighting, garage doors, security systems, smart plugs, air conditioners, blinds, locks, etc.—over Wi-Fi, Bluetooth, and infrared. To spare you the hassle of always having to deal with multiple devices separately, the expanded Peel app will allow for the creation of so-called “Peel-in” presets for controlling multiple devices simultaneously. “A Peel-in living-room experience might involve simultaneously turning on the TV and sound system, closing the blinds, adjusting room temperature, and lowering the lights, all with the tap of one button,” Peel co-founder and chief product officer Bala Krishnan explained in a press release. 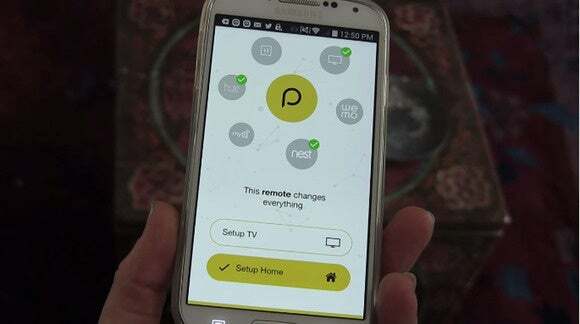 According to the company, the decision to expand the Peel app’s remote-control capabilities beyond TVs and other entertainment devices was taken in view of popular demand. Why this matters: Peel’s foray into the connected home is such a no-brainer that we can’t help but wonder: what took it so long? That doesn’t mean, however, that it’s not too late to the party, which has barely started. Moreover, its staggeringly vast user base automatically makes it a force to be reckoned with in this space—something startups like Tekoia (maker of the SureMote remote app) can only dream of.